22.5"W x 23"D x 33"T with 18.75"W x 18.5"D x 17.75"T seat. 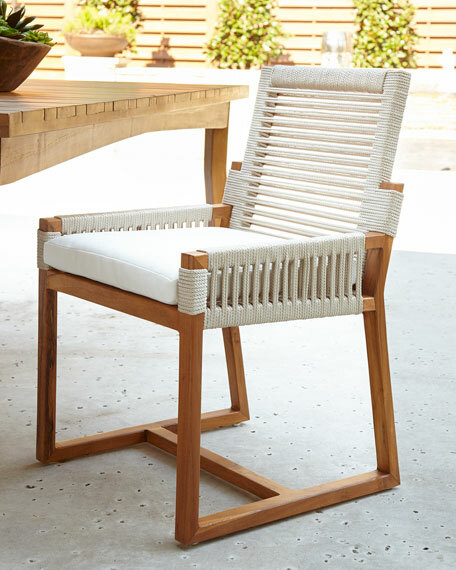 Teak frame; double-wall back in synthetic marine-grade rope with UV protection. Finish weathers into a grayish patina over time.